New data from the PHD Chamber of Commerce and Industry says China is now the biggest trade partner of India, showing a trend tilting towards bigger shares for emerging economies. China-India trade has reached $49.5 billion with 8.7 per cent share in India’s total trade, while the US comes second at $46 billion with 8.1 per cent share during the first nine months of the current fiscal, the study revealed. “India’s direction of foreign trade has exhibited a structural shift during the last decade. Trade volume and trade share of emerging and developing economies has increased while the share of conventional trading partners has showed a declining trend,” PHD Chamber President Sharad Jaipuria said. India’s trade with China surged from $7 billion in 2004 to $38 billion in 2008 and to $65 billion in 2013. Following a flurry of high-profile bilateral visits by the top leadership of the two neighbours last year, there has been a new thrust on strengthening ties. Chinese Premier Li Keqiang had said in New Delhi last year that the two BRICS nations have agreed on a roadmap to reach a “dynamic balance” in bilateral trade between the two nations. 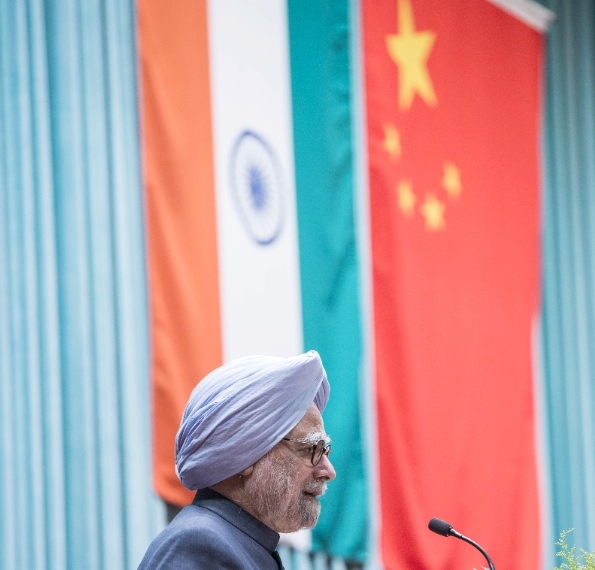 Business relations between India and China have boomed for more than a decade. The two sides have targeted trade flows of $100 billion by 2015. The two nations are also working on the China-proposed BCIM Economic Corridor, host to 40 per cent of the world’s population. The Chamber’s report also revealed that Saudi Arabia, UAE, Kuwait, Qatar, Iraq and Switzerland are India’s top ten import sources. UK and Germany have come down in the list of the top export destinations of India, while Belgium and Italy are out of the list.